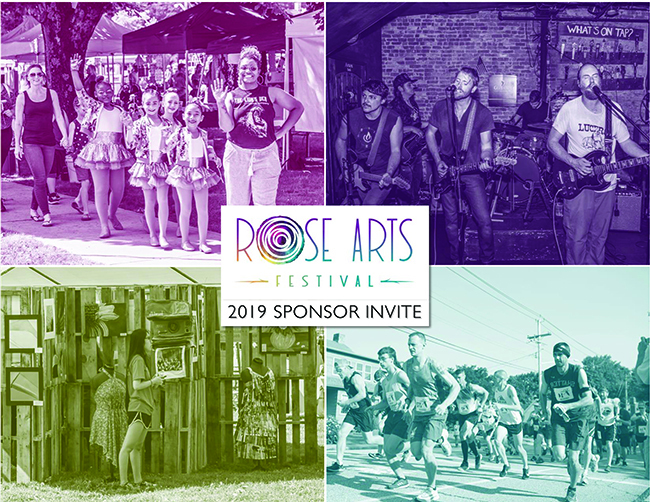 In 2017, the Rose Arts Festival was re-launched, inspired by the festival’s passionate history, along with the belief that creativity can invigorate and empower a community. Rose Arts is a call to the community to celebrate Norwich today and tomorrow. Thousands band together in the form of patrons, partners, and volunteers to answer the call, and the beloved festival has returned, full of love, ready to grow. Like you, we are looking for strategic partners to help us reach our goals. This is a unique opportunity to stand out in the community, build strong ties for your business, and be intimately associated with one of the fastest growing arts events in the area. > Learn more and become involved.